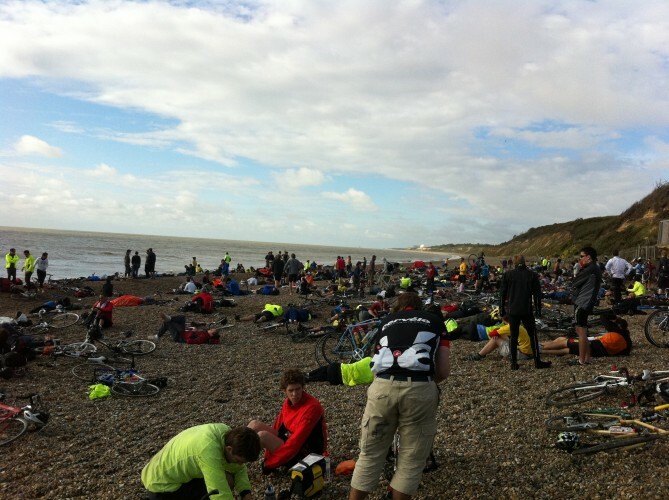 The Dunwich Dynamo is a 120-mile overnight bike ride, it originated in 1993 when a group of bike messengers decided to ride to the coast after work one Friday night and they invited members of public to join them. Since then the ride has grown rapidly. It takes place in July on the Saturday night nearest to the full moon. 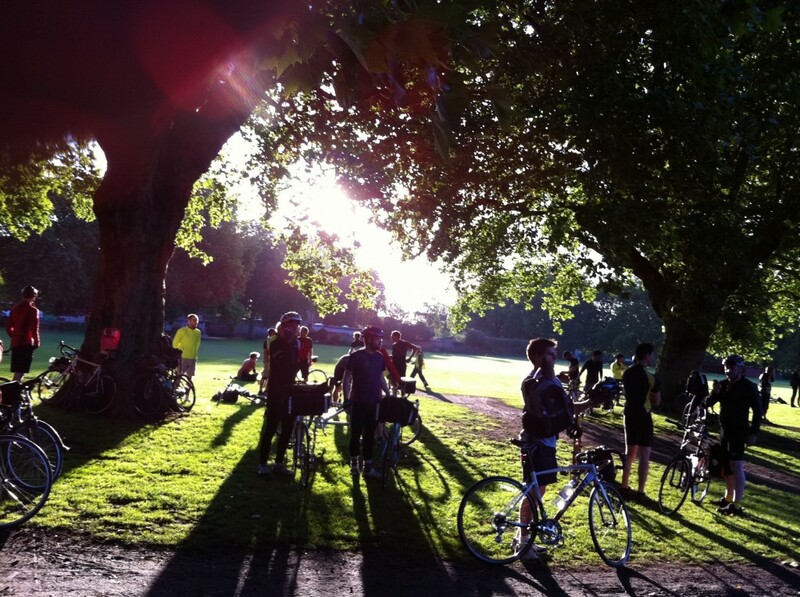 Around a 1,500 riders depart Hackney in central London at around 8pm and ride unsupported to a lonely suffolk beach called Dunwich in time for breakfast. The ride was a lot of fun, I was initially concerned I would get tired part way through the night and want to stop, however, luckily this didn’t happen. It was a nice evening a little on the cold side but clear and dry. We cycled out of London and the atmosphere was great, everyone was chatting, happy and relaxed. Some cyclists were riding single-speeds, tandem bikes and one guy even did the ride on a boris bike! Many people had music playing from their bikes which was always a nice morale boost. 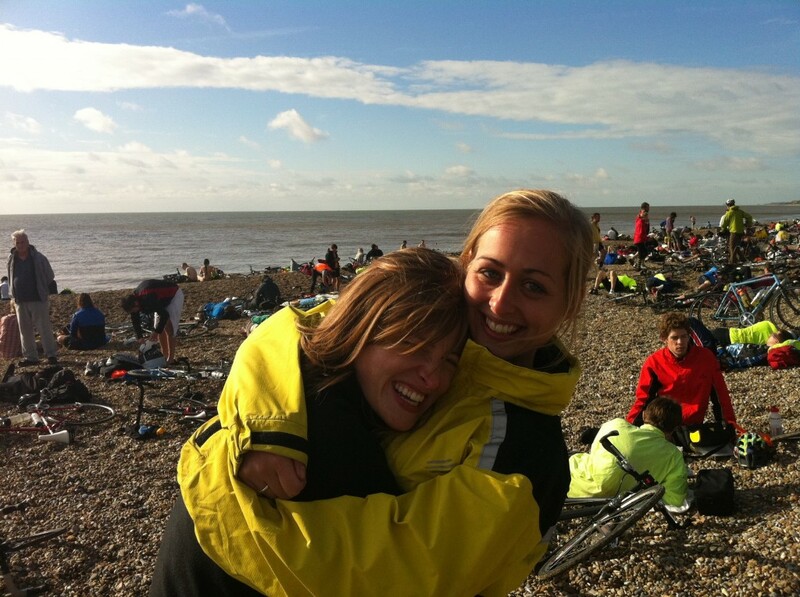 My friend Jane and I cycled quickly and stopped rarely, we got too cold to stop for long. We ate small amounts regularly and the miles seemed to fly by, we made good time. We arrived at the beach pretty early on the Sunday morning around 6am, we collapsed exhausted on the beach and waited for other friends of ours to arrive. Once we were all reunited we went for a celebratory dip in the sea (which was freezing) and then got a greasy fry-up breakfast from the cafe on the beach – we were so hungry that it tasted delicious!